In an unexpected move, former two-time UAAP Most Valuable Player Kiefer Ravena has made his announcement that he will be enrolling in DLSU in the following academic year. Through an intimate letter published on Twitter, Ravena described the move as “challenging” and recalls feeling a “range of emotions” during the decision process. The NLEX Road Warriors point guard will be taking up a master’s degree in communications in La Salle for the next few years. He, however, will not be able to join the DLSU Green Archers in the UAAP, after exhausting all his playing years in Katipunan. As a former player for the ADMU Blue Eagles, Ravena will have to adjust to an environment very different from Ateneo. Coming from a rival school, Ravena feels overwhelmed at the amount of glares that could come his way, “I am used to so many people looking at me, but coming to a school who I played against for a long time, it feels different.” he explains. Regardless, Ravena feels optimistic about his stay at DLSU. Rather than committing to a UAAP team, Ravena would like to approach his stay in a more studious and hands on manner. A student-athlete, especially one that is adored by fans around the country, can be just as equally tiring as being a student juggling academics with organizations, while balancing time with family and friends. As Ravena enters DLSU, he approaches the new environment by balancing his time in the PBA, academics, and a stable organization. “Going to DLSU gives me an opportunity to branch out to the Lasallian community,” Ravena exclaims. “I am willing to try their organizations here, one that is probably related to my course and hopefully grow from it and apply it out there in the real world.” Despite being a student again, Ravena still dedicates his heart to playing for the NLEX Road Warriors, and, of course, his studies. 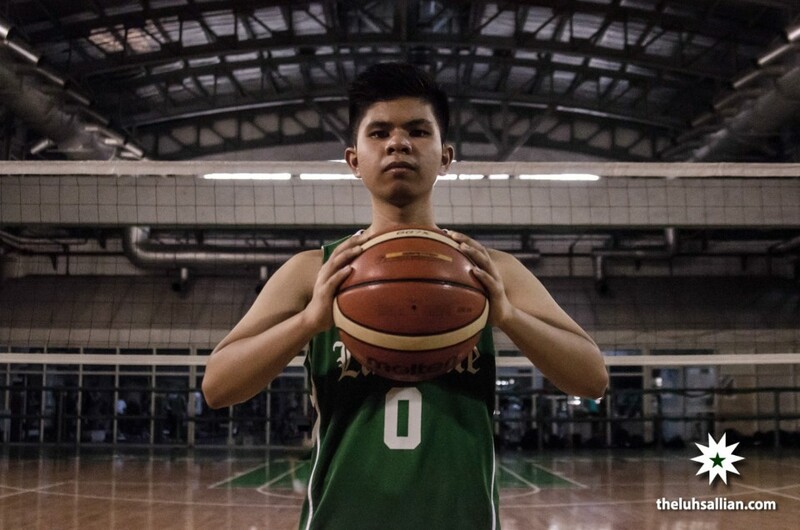 De La Salle University opened its doors to a unique student like Kiefer Ravena, once a student and an athlete from DLSU’s rival school, now a part-time Lasallian student and a full time PBA player. “Excited ako overall sa journey ko here in La Salle, I know it will be rough at times pero I know naman I can conquer it.” This will be a stepping stone for Ravena as he embarks on a new journey as a Lasallian.